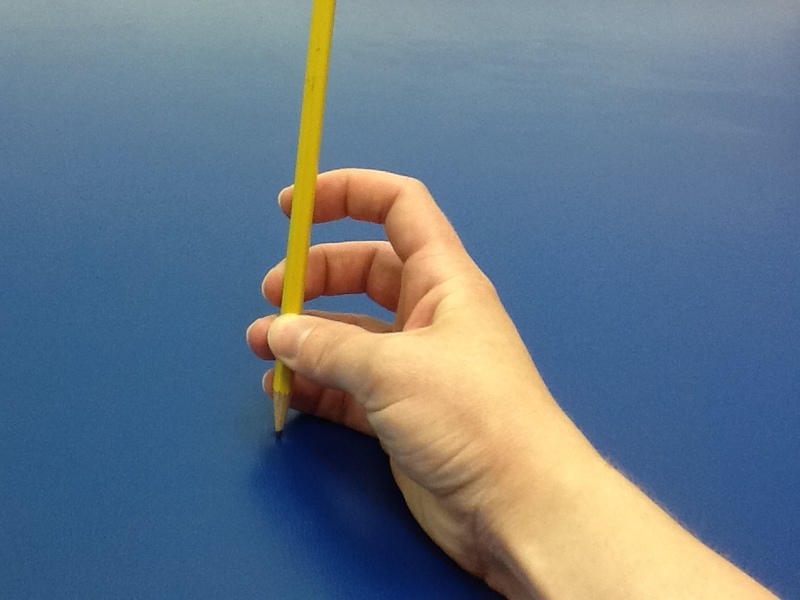 Tripod Grasp – this is often seen as the “gold standard” for pencil grasp, however it is not the only functional and efficient way to hold a pencil. 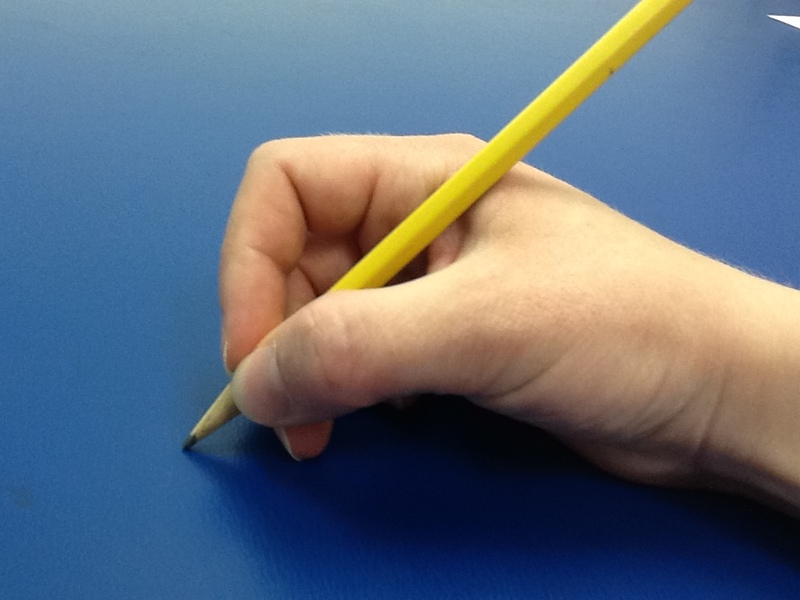 The pencil is held between the thumb and index finger and rests on the side of the middle finger. The ring and pinkie fingers are tucked into the palm while the shaft of the pencil rests in the open webspace formed by the thumb and index fingers. This pattern requires strong intrinsic hand muscles and good stability at the joints. 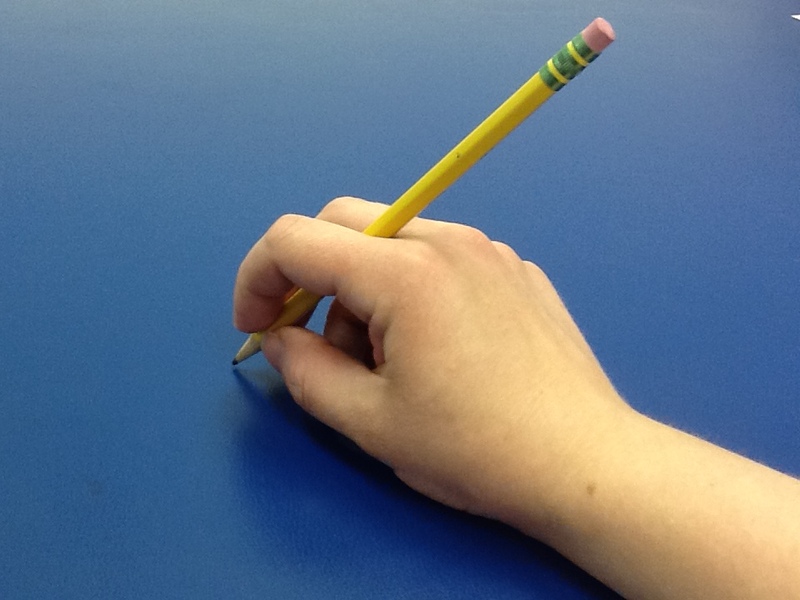 Quadrupod Grasp – this pattern is closely related to the tripod grasp, however, the pencil is held by the thumb, index and middle finger and it rests on the side of the ring finger. The pinkie is tucked into the palm and the pencil shaft rests in the open webspace just like a tripod grasp. This pattern provides slightly more stability but does not sacrifice control or joint positions. 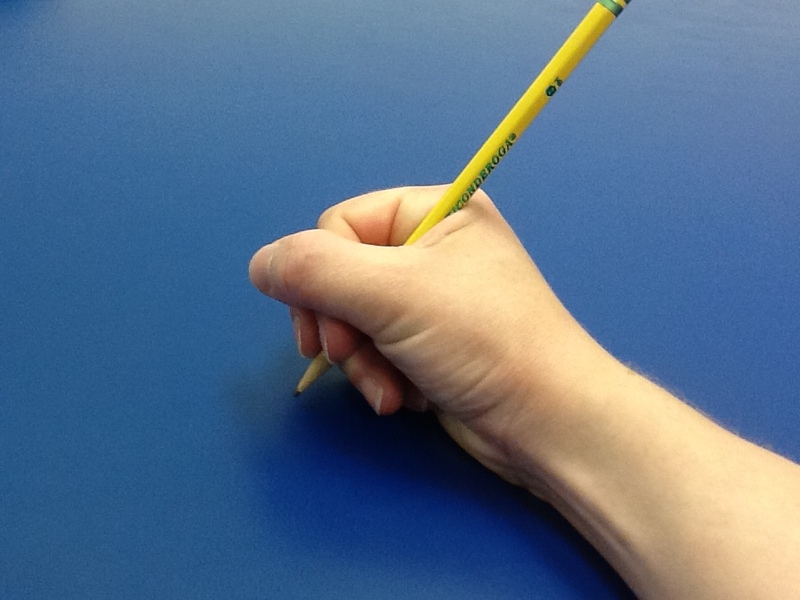 Modified Tripod Grasp – Although this pattern looks quite a bit different than a standard tripod grasp pattern, the pencil is held the same way by the tips of the thumb and index finger. 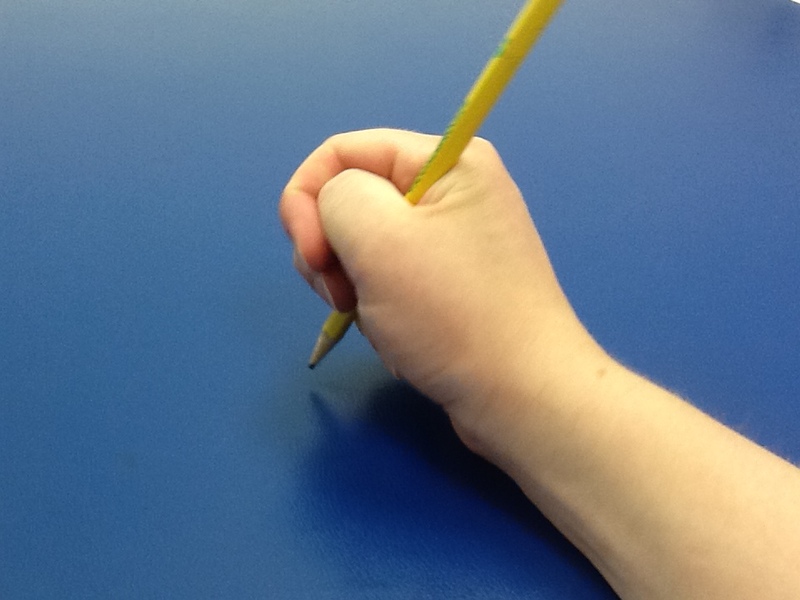 The difference is that the shaft of the pencil rests between the index and middle fingers. This pattern may be beneficial for children who lack stability of their webspace and arches of the hand. The movement of the pencil remains unimpeded and the joint positions are ergonomically correct. Chances are if you are reading this article, your child does not use one of the patterns listed above. Some children tuck their thumbs under their index fingers, which is referred to as a thumb tuck. Others place their thumb on top of their index fingers for added stability, which is referred to as a thumb wrap. Perhaps a teacher or other professional has suggested the use of a pencil grip but with so many different grips available, how do you know which one is right for your child? Speak with your occupational therapist to investigate the need for a grip. Here are some of the common grips available. Click on the pictures below for a larger image. Does the grip support participation in handwriting tasks or does it cause more of a distraction? 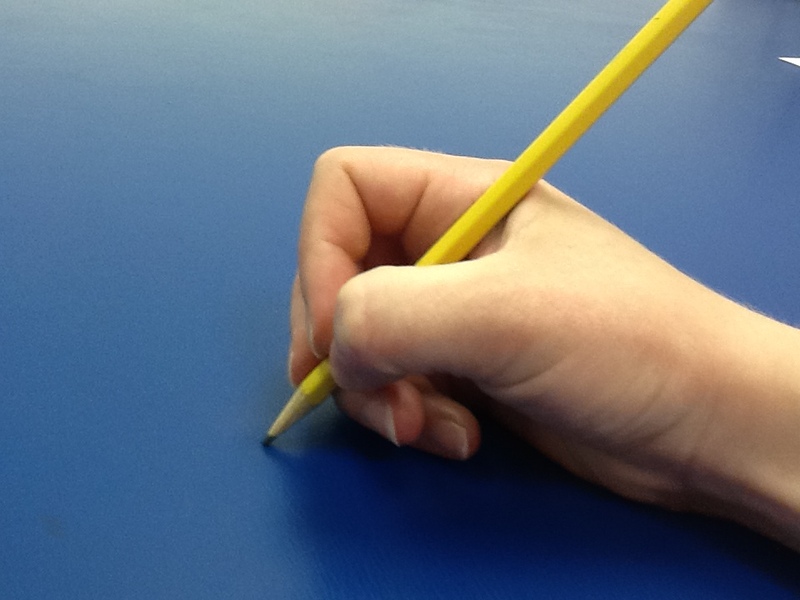 Can the child consistently place their fingers correctly on the grip or do they need assistance each time they pick up the pencil? Is the child willing to use the grip or will they hide it in their desk or “lose” it? Is the child working to develop the intrinsic musculature of the hand in order to transition away from needing a grip? What are the other factors impacting their writing? How is their trunk control? Are the seat and desk heights appropriately matched for the child? How is their proximal stability at their shoulder? What is their wrist position? Does the child efficiently separate movement between the two sides of the hand? How do their visual perceptual skills impact their writing? How does their regulation impact their attention and ability to sit long enough to master grip and graphomotor skills? Before a child enters Kindergarten, there is little need to use pencils or grips. Encourage the use of short crayons or pieces of chalk instead. A child’s grasp patterns continue to develop into a “mature” pattern around the age of 5-6 years old, so it is not uncommon to see a child alternate between functional and less functional grasp patterns up until this time.